This half day tour is convenient for tourists on a stopover or before touring other Tanzanian parks. It’s good tour giving you a sample of what to expect in the rich wildlife parks of Tanzania. Travelers on lay overs at Mt Kilimanjaro airport can also sample this tour. 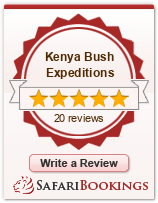 Our guides have done this park many times are therefore you are assured of the best game viewing experience. This is the best day for you to escape from the hustle and bustle of the city. Enjoy complimentary hotel pick up early in the morning or mid-day depending with what time you want to start your tour. After a brief introduction, enjoy a ride in a 4*4 land cruiser for about 40 minutes and enter this famous National park. The park is just a few kilometers north east of Arusha, though the main gate is 25 km east of the city and 35 km from Kilimanjaro International Airport (KIA). Arusha National Park has a rich variety of wildlife. Despite the small size of the park, common animals include giraffe, Cape buffalo, zebra, warthog, the black-and-white colobus monkey, the blue monkey, flamingo, elephant, lion and many other African animals. Leopard populations are present, but rarely seen. Bird life in the forest is prolific, with many forest species more easily seen here than elsewhere on the tourist route – Narina trogon and bar-tailed trogon are both possible highlights for visiting birders, whilst the range of starling species provide somewhat less gaudy interest. After 4 hours of professional guided tour, and after viewing as many wildlife as possible, it’s time to leave the park for Arusha town or Airport.